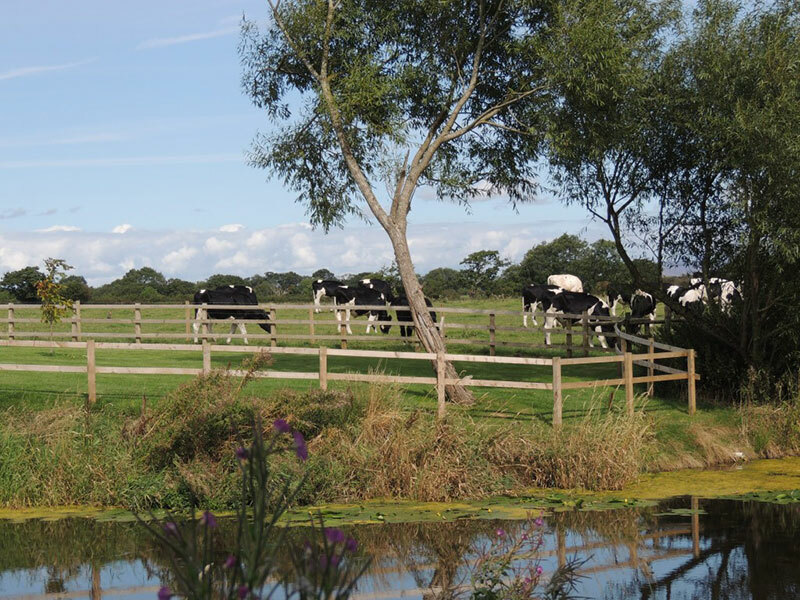 Humblescough Farm’s caravan site, just 5 mins from Garstang and set in beautiful Lancashire countryside, is adjacent to a wildlife pond and has lovely views of the Bowland Fells. You will be able to relax and enjoy the peaceful surroundings which are home to a wide variety of birds and other wildlife. Our Pond Site is level and has 5 hard-standing pitches for caravans, motor homes or campervans. Each pitch has its own electrical hook-up and water supply. All the pitches are a generous size and have great views of the wildlife pond and surrounding farmland. The information hut will provide you with plenty of ideas for places to visit in the local area, as well as routes for walking or cycling and books, magazines and games to borrow. There is a toilet and shower block, along with a washing-up area. You can buy freshly-laid free range eggs. At Humblescough Farm we are keen to protect the environment and lessen landfill, so we encourage visitors to recycle as much of their rubbish as possible. Friendly and well-behaved dogs are welcome. There is a maximum number of 2 dogs allowed per pitch. Since this is a working farm it is essential that dogs are kept on leads. Parents and carers with young children should be aware that the adjacent wildlife pond, although fenced, is deep in places. The Little Meadow is adjacent to the pond site. It is a lovely 3-acre site with hardstanding and grass pitches, easy access to water and electrical hook-ups for caravans, motor homes and campervans. There is also access to all the facilities. If you would like to enjoy a campfire, we provide a firepit, with kindling and a bag of logs, for £8 per night. For health and safety reasons we do not allow people to bring their own firewood. Barbecues are allowed but disposable barbecues are not permitted. Visitors are allowed by prior arrangement only. An extra charge of £5 per car applies for visitors. A non-refundable deposit will be requested at the time of booking. Payment can be made by cash, cheque or bank transfer. It is advisable to book your pitch in order to avoid disappointment. For further information, or to make a booking, please phone 01995 605804 or email hello@humblescoughfarm.co.uk.